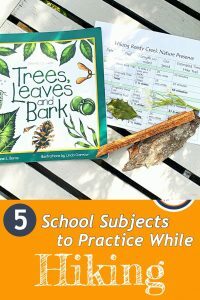 Spring’s arrival always makes us want to get out of the house and away from our typical homeschool lessons. One great way to do this is by setting a hiking goal to accomplish throughout the spring months. 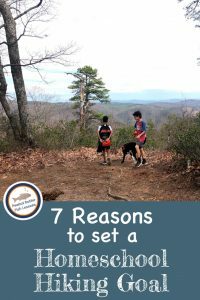 Here are seven reasons why making a hiking goal is a great addition to your homeschool. We all know children (and us adults!) 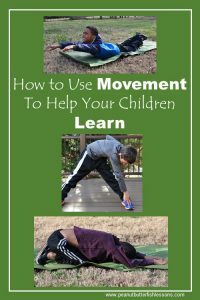 function better when we get our bodies moving. Not only is exercise good for our bodies, but it is good for our brains. It clears our mind, helps us focus, decreases worry and anxiety, and improves our mood. It also helps us sleep at night, which in turn helps with focus and mood! If your children have been irritable and/or unfocused with school lately, a hike is a perfect solution! Hiking is also good for our eyes. We spend so much time focusing close up…reading, looking at computers and tablets, focusing on the task right in front of us. Hiking forces our eyes to use our long distance vision. A skill that many of our eyes just aren’t used to these days. In fact, myopia or nearsightedness is increasing these days and doctors have found spending time outdoors helps! Here is an interesting article on the increase in myopia. A hike can be as simple as a walk on a trail in the woods. 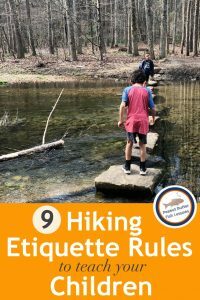 But, it can be fun to set a goal to hike all of the trails in a park or all of the miles of a greenway in your area over a period of several weeks. I gave our boys the options of a park and a greenway near us. They picked to hike all the trails in the park because it was more “natural” and out into the woods more. Smile. So we picked a park that had six hiking trails for a total of about 9 miles. Each time we hike, we talk about which trails we will do that day and highlight the trails we complete. Even though, most of us rely on GPS these days to get around, it is still important to be able to use a map. Using a map to pick the trails you will hike each day and to orient yourself during the hike works on visualization skills. This generalizes well to getting around our world on a daily basis. I show the boys the trails we are hiking on the map and what the next turn will be. Their job is to watch for the trail markers and find our next turn to make sure we are going where we need to. 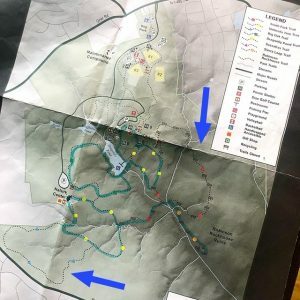 If we are doing an out and back trail (as opposed to a loop), I then hand the map to my oldest one at the end of the trail to get us back to the car. Adding a compass to the activity develops the understanding of cardinal directions and develops another skill that is important to hiking. When my boys were just starting to read, I found that they became really interested in what signs said when we were exploring our world. They were more motivated to sound out words on signs than in a simple book back at home. So hikes became a great way for them to practice decoding words! Nature is the original inspiration for art! Encourage your children to create some art when they get home based on something that inspired them on the hike. You might collect a few specimens such as leaves or rocks on your hike or take pictures of items found in nature. 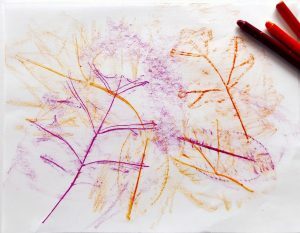 Your children could simply draw what they have found by looking closely at the details or they might want to add watercolor or some other medium to their project. Hiking can be a great way to spend time with friends and to make new ones! Invite some people to join you on your hike. 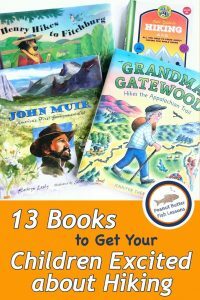 Or look for a homeschool hiking group in your area. Facebook groups and Meetup are great ways to find groups. Or your local parks may have a group. This can be a great way to get together regularly with other homeschoolers without committing to a weekly co-op or meeting. 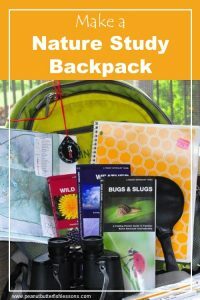 Have you thought of other benefits to making hiking a regular part of your homeschool? Comment below! This is a great article!! I think we are going to start to do this!